The HICO and RAIDS Experiment Payload (HREP-HICO) created particularly valuable images of a critical part of Earth: its coastal areas. 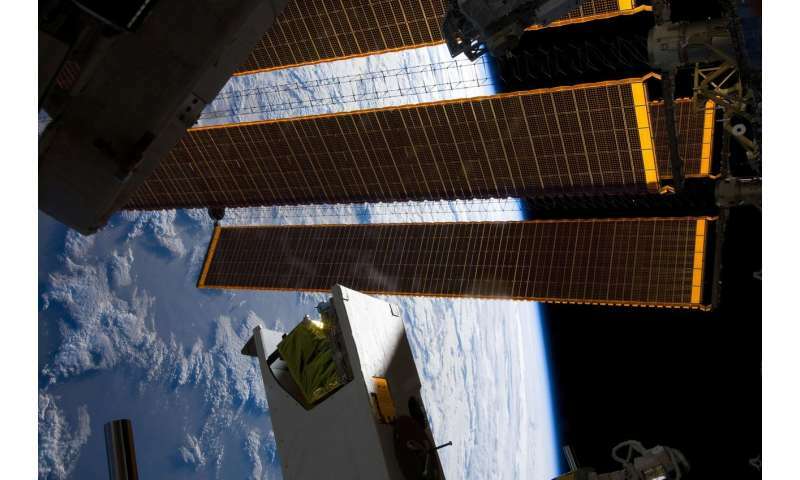 During a five-year run aboard the International Space Station, it collected some 10,000 such images by combining two experimental sensors, the Hyperspectral Imager for the Coastal Ocean (HICO) and the Remote Atmospheric and Ionospheric Detection System (RAIDS). Scientists, corporations and agencies have used HICO images to estimate concentrations of healthy and harmful phytoplankton, identify Harmful Algal blooms (HABs) in drinking water reservoirs, and assess water quality. HICO also contributed to planning and executing humanitarian relief operations and military actions, and identifying oil spilled from ruptured pipelines. "HICO's ability to look at the coastal oceans was very important for the needs of our planet, helping us understand the coastal environment," said Mary Kappus, branch head for Coastal and Ocean Remote Sensing at the Naval Research Laboratory, which developed the investigation. "Hyperspectral imagery teaches us more about that environment than regular images. HICO was the first time we put a hyperspectral sensor in space appropriate for looking at coastal oceans." HICO was mounted on the exterior of the Japanese Experiment Module Exposed Facility (JEM-EF) in 2009. The space station's unique orbit offers views that differ from those of traditional Earth-viewing satellites, enabling exceptional views of the coastal ocean and Great Lakes. HICO collected the full spectrum of wavelengths from visible to near-infrared; a regular camera acquires three spectral channels. RAIDS measured the density, temperature, and composition of the ionosphere and thermosphere, regions of Earth's atmosphere at altitudes between 59 and 186 miles. HICO met all of its primary mission objectives within its first year, and was subsequently sponsored for mission extensions by both the Office of Naval Research and NASA. In September 2014, HICO's computer took a severe radiation hit from a solar storm and never recovered. On June 14, 2018, crew members powered down HICO for the last time. The investigation's days may have ended, but its work lives on. Most HICO images remain available online. Taking quality images made HREP-HICO a success from the beginning, and the science built on those images add to its success. "Researchers have used it to answer science questions about water quality and algal blooms," Kappus said. "A number of papers have been published on the incidence of algal blooms, which affect many people. We have some idea where they might happen, but are not really good at predicting them. Having images that show where they are and how they develop is important." Its legacy also includes advances in the science of remote hyperspectral sensing and important innovations such as improved algorithms to analyze images of coastal zones and advances in processing large amounts of data. An online web application, The Hyperspectral Imager for the Coastal Ocean Image Processing System (HICO IPS), provides cloud-based remote sensing data analysis. Developed by HySpeed Computing, in part through International Space Station National Lab funding and support, HICO IPS provides the global community access to these data. Kappus points to the sheer depth and breadth of phenomena in HCIO's encyclopedia of images as one of its prime accomplishments. "It was able to show an incredible range of things, images of plumes coming out of a river, eddies, sharp contrasts, even the coastal ocean bottom. It took great images of lakes as well. Many of the images are also beautiful."